Portland landlords aren’t exactly hard-pressed to find tenants. If you rent homes or apartments in the city, you may feel like prospective tenants are knocking down your door. 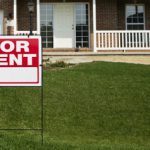 While there’s no lack of renters in the Rose City, improving the condition and appeal of your properties may help you attract the type of occupant you desire. Renters who are happy with their homes are more likely to stick around, take good care of their unit and pay rent on time. All of that means you’ll be a happier and more prosperous landlord. Even if it’s easy to get renters, the process of finding a new tenant isn’t exactly stress-free. Besides, providing a clean, well-kept home for residents can be a point of pride for you. 1. A fair price: Nothing’s more appealing to a renter than a fair price. Research similar properties in the area and set a reasonable rate. Charging too much could lead your tenant to move prematurely. Charging too little doesn’t make business sense for you. 2. Make it energy efficient: Portland is a green city. Chances are your prospective tenants feel a responsibility to conserve energy. They’ll also find the prospect of lower energy bills highly attractive. Seal air leaks and add insulation. Upgrade to water-saving plumbing fixtures and efficient appliances. Install window film on southern-facing windows, skylights or windows that tend to get a lot of sun. 3. Clean and make repairs: Before showing a place, make sure it’s clean. As you go over the property, this is also the time to make note of any repairs you need to make. 4. Upgrade security: Make sure the home is safe and secure. Bulk up the strength of windows and glass doors with Armorcoat Safety and Security film. Intruders will have a harder time breaking glass that’s protected with thick film. Security film also protects your property from accidents and natural disasters. A solid door with a sturdy deadbolt and strike plate will give tenants peace of mind. Consider adding a security system to your property. Working smoke and carbon monoxide detectors are a must. 5. Increase curb appeal: If your property looks shabby from the outside, you’ll discourage the tidy and attract the not-so-tidy. Take care of the yard, trees and shrubs. Paint or refinish as needed. Add seasonal touches such as flowers. Upgrade windows by painting the frames and adding decorative film to entryway windows. Well-maintained rentals attract a better caliber tenant, those who are more likely to remain and keep your property clean and undamaged. A meticulously attended to rental can justify a higher price. Contact us for more information about adding style and security to your rental property.